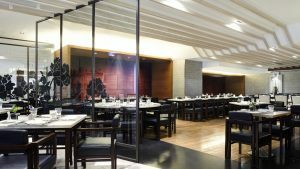 Novotel Hong Kong Nathan Road Kowloon is the only 4-star international hotel situated in Jordan Yau Ma Tei district in Kowloon, Hong Kong. Surrounded by a number of must-visit Hong Kong attractions, the hotel is the ideal place for business and leisure travellers to experience Hong Kong in a one-of-a-kind trip in the heart of Asia. 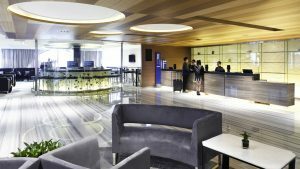 Novotel Hong Kong Nathan Road Kowloon is located in the hustle and bustle of the city and around the corner for all forms of public transportation. 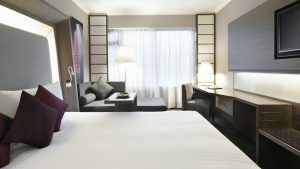 Situated on the “Golden Mile” of Hong Kong and within the hub of Kowloon’s shopping and commercial district, the hotel allows easy access to nearby attractions: the Temple Street Night Market, Jade Market, Ladies’ Market,Victoria Harbour and the Star Ferry are all within walking distance. A 10-minute walk along Nathan Road towards Tsim Sha Tsui is Kowloon Park, the largest park in Kowloon; an approximately 30-minute walk will take you to the shopping paradise of Tsim Sha Tsui stretching from The One to iSquare and Ocean Terminal, while our famous Hong Kong Cultural Centre for performances and exhibitions is also en route. The city’s MTR (Mass Transit Railway) network can take you across the Victoria Harbour to Hong Kong Island within minutes via the Jordan station which is just 2-minute’s walk from the hotel. We are also only 3 stations, or 10 minutes, away from the Hong Kong Convention and Exhibition Centre. Travelling to the Hong Kong International Airport has never been easier with the A21 Airport bus stop just down the road, that can take you from the hotel to Hong Kong International Airport in just around 30 minutes. Overall Good, could be better.